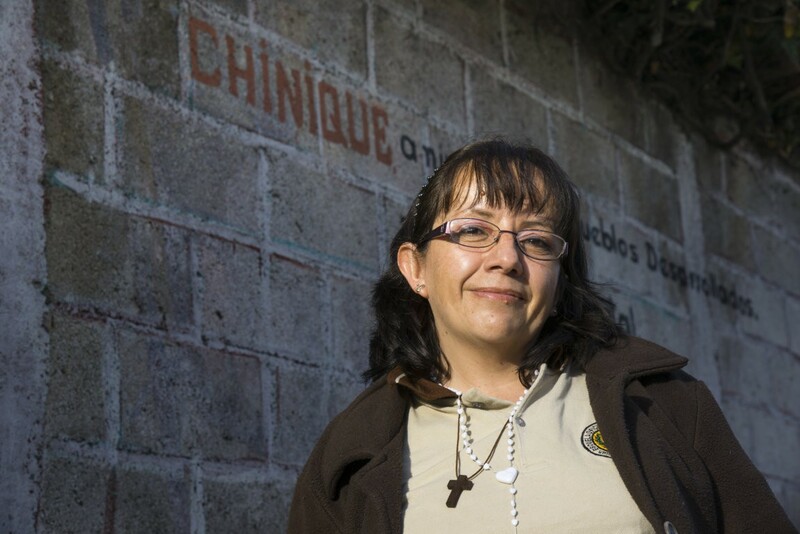 In the hills of Chinique de las Flores, a quest for clean water became a quest for clean government. On a green hillside in the Guatemalan municipality of Chinique de Las Flores sits an oldpila — a washing station made of concrete. Below, at the foot of the hill, a sea of lilies fed by the same precious spring stand tall on their stems, their petals like white caps skimming the surface. This oasis is a symbol for all that’s good about Chinique and its people — their warmth, their traditions, and the quest by a handful of them for the truth behind the corruption that had cast a pall over their much-loved town. This is their story. At its core, this is a universal tale about how everyday citizens — when they are armed with knowledge — can stand up for their rights, demand that government work for the people, and in the end, see that justice is done. 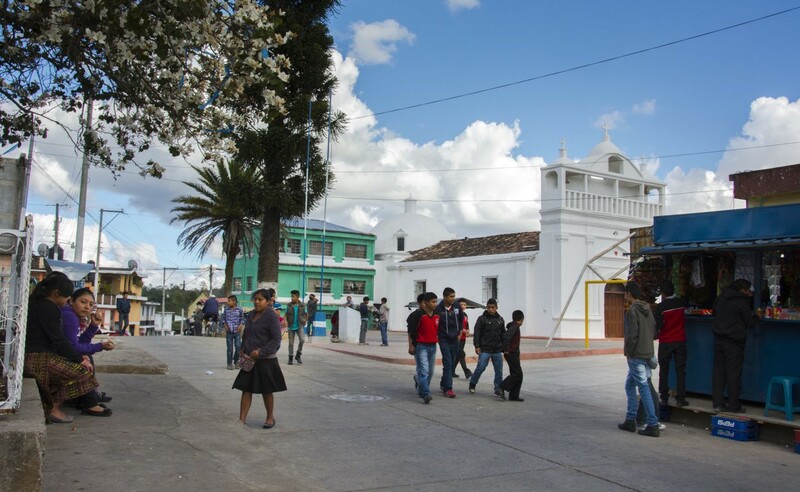 High in the hills of Quiche, one of Guatemala’s 22 regions, Chinique’s cobbled, concrete, and dirt streets are lined with low, pastel-colored houses. Tuk-tuks — small three-wheeled vehicles — ferry people and goods between neighborhoods. In this “capital of cordiality,” everyone is friendly it seems, even the street dogs. Not everything in Chinque has been so amicable in the past however. Seventy-six year-old Damian Arevalo begins the story, going back to the year 2009 — around the time, said locals, that their water went bad. For Arevalo, a retired farmer who had served as mayor in the late ‘70s and again from 1986 to 1989, bringing drinking water to the people of Chinique’s town core had been his single-minded mission during his tenure. “It was the most important thing in town,” he said. 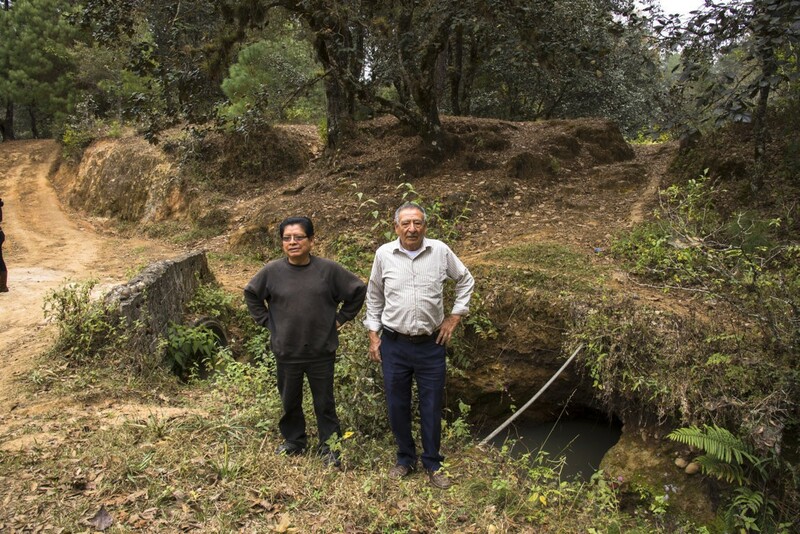 With an investment in labor and the purchase of about five springs and a network of pipes, Arevalo — and Chinique — turned their dream into reality. But one day, dirty water began to flow from their taps, and residents couldn’t get answers to their questions about it. “At the beginning, the water came in and looked like chocolate,” said Catalina Pelico Luna de Rodas, who, together with a group of other women, went to the municipal offices to complain. “Children got sick. 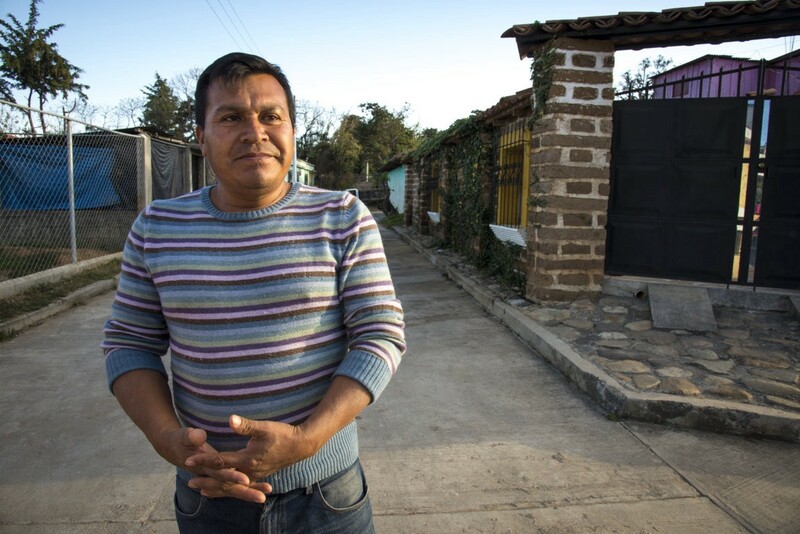 We couldn’t shower because the water was green,” added Julian Mendoza Vázquez. The problem, said Arevalo, was that a nearby river had been tapped for the municipal supply. A sample the residents sent to the chemical sciences and pharmacy lab at Guatemala’s University of San Carlos for testing was found not in compliance with the country’s drinking water standards. And though the water is supposed to be chlorinated, sometimes the amount didn’t seem adequate and at other times it seemed like too much, giving the drinking supply a bad taste. Residents began to cast about for other sources, and many started having to buy their water. Arevalo says the mayor at the time, Ambrosio Luis Lopez Chamorro, didn’t address people’s complaints. Ultimately much more serious accusations would land on Chamorro. Fed up with the stonewalling, they knew they had to take a different tactic. But where could they turn in a country in which so many of its public institutions rebuffed or ignored them? That’s when this group of truth seekers stumbled on an article describing the Advocacy and Legal Advice Center, or ALAC. 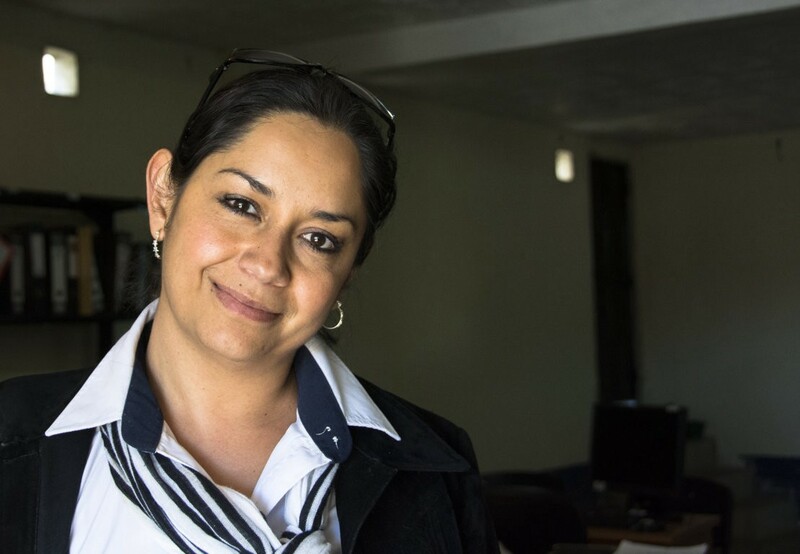 This initiative offered free legal help and was run by Acción Ciudadana, the Guatemalan chapter of Transparency International, a global anti-corruption coalition. The residents of Chinique finally found an ally they could count on in ALAC and its small team of lawyers including David Gaitan, David Morales, and Gabriela Ayerdi. 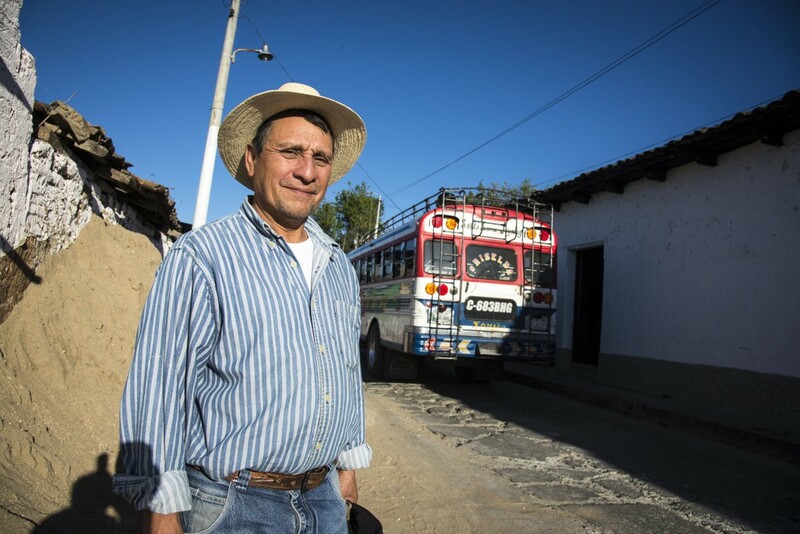 “Whatever we accomplished was because of them (Acción),” said Tereso de Jesús Granados, a 69-year-old local tradesman and one of the truth seekers who, years ago, was hired to ferry pipes in his truck for the original water line. 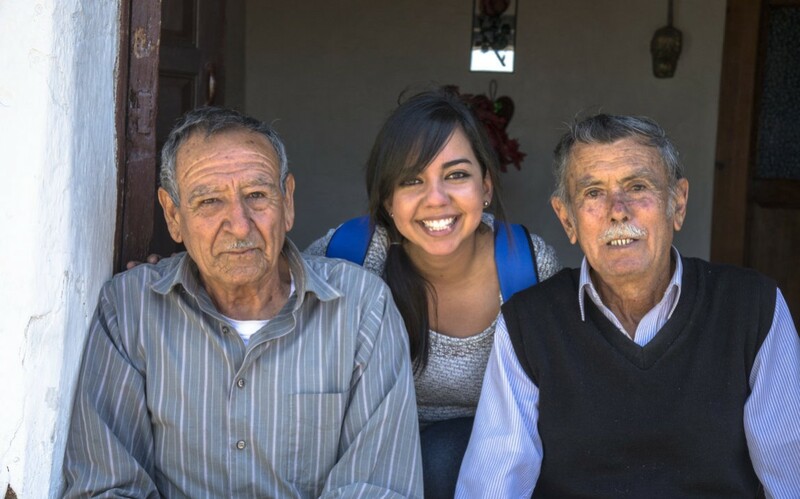 Ever since she was in grade school, Gabriela Ayerdi had been interested in helping people. Becoming a lawyer was a way to turn that passion into practice. It was while working in a prosecutor’s office, where some cases were filed away and never investigated, that Ayerdi, now 27, had her epiphany. “I was working and studying at the same time and I realized the judicial system had collapsed because of corruption. I realized that only people who knew their rights or had contacts or had money could get their cases advanced. I heard about ALAC and I told myself I had to work there,” said Ayerdi, adding ALAC members work as a team. 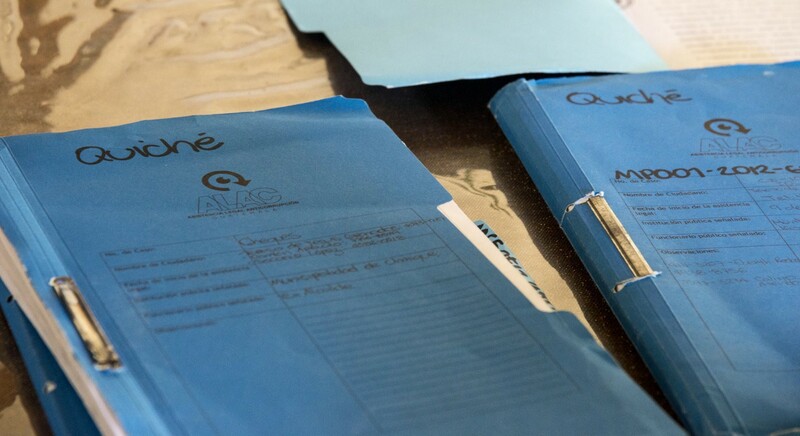 When Arevalo and residents of Chinique — about 16 of them — showed up at Acción’s office in the capital, Guatemala City, to ask for help, they brought with them a complaint that they had composed themselves. The first step, said Ayerdi, was to understand the water situation thoroughly, and for that Acción needed more detail. So she filed a formal request for information — one of many attempts to unearth the truth about Chinique’s water and work with the residents to seek relief. As important as it is to provide free legal assistance, what ALAC also does is to get people thinking. It explains the legal system, and helps people to understand their rights and to start asking questions — which is exactly what happened next in Chinique. While the truth seekers never did get adequate answers about their water, they began probing a new set of problems: They had heard about several road improvement projects that were supposed to be underway in their town during Chamorro’s tenure, but there was little proof of progress. With the help of Ayerdi and ALAC, they dug into a public data base run by the government and found enough evidence of irregularities in the construction projects to file a complaint with the national comptroller’s office in April 2010. What particularly galled Chinique’s citizens was a payroll that listed people allegedly hired to work on the municipal projects: At least one was a dead man. It wasn’t until August, 2011 almost a year and a half after Chinique residents first filed the complaint that the comptroller’s office finally released a detailed explanation of the case, said Ayerdi. And that’s when she and the core of activists learned that about four months before — in May — the attorney general had filed a formal complaint that named Chamorro and requested an investigation into the alleged mishandling of municipal funds. But the news came too late: Chamorro was gearing up to run for re-election as mayor and the ballots had already been printed, Ayerdi said. Chamorro’s name was on them. When the opposing parties learned about the charges and that Chamorro should not have qualified to run because of them, they spread the word, said Ayerdi, setting the stage for a night of violence that still leaves some people wondering how such a thing could have happened in this peaceable place. The night of the election — Sept. 11, 2011 — Wendy Ixell Rodas Carbonell, a lifelong Chinique resident who is both a teacher and a lawyer, was helping out, and as the ballot boxes were about to be turned in, word circulated that Chamorro had a substantial lead over the other candidates in the race — a lead some suspected was due to outsiders being bussed in to cast illegal votes. Carbonell recalled that the mood in the room where she had been working had a coarse, strange feeling to it. A short while later, when Carbonell had gone over to the electoral headquarters, there was a banging on the door. A small handful of teenagers burst into the room and grabbed the ballot boxes, she said. They ordered everyone to stay put, and about 15 minutes later the election workers were released one at a time. Outside, a bonfire was devouring the results of Chinique’s election. Carbonell watched as the ballot boxes melted in the heat and their contents burst into flames. Manuel López, who works in Chinique’s office of the Supreme Electoral Tribunal, the national institution in charge of the elections, was at the park just outside the municipal offices monitoring the scene that night when the lights began to flicker on and off, rousing the suspicion of the crowd. “A lot of people had too much to drink,” said López, and when the lights went out a cry of “fraud” erupted. López’s wife — his girlfriend at the time — was working at the electoral tribunal in a room next to the municipal hall. He ran to warn her and others that a gang was coming. “They told us to get out, out, out,” said Lopez, recalling that someone threw a rock through a window, hitting a woman and knocking her to the floor. Later, López said a gang of people went to Chamarro’s home and tried to burn it, too. Who was responsible for the melee? A few days after the ballots were burned, Sindy Celeste Rodas Carbonell — also a lawyer and the sister of Wendy Ixell Rodas Carbonell — was in her office when a small delegation came by on an urgent matter. Leading the visitors were Tereso de Jesús Granados and Damian Arevalo, the Carbonell sisters’ uncle. The group was determined to ensure that Chinique got the chance for a repeat election, and they had to act fast because the time for an appeal was very short. Within three days, the activists had gathered 1,600 signatures on a petition asking the tribunal for a repeat election, arguing that many of the ballots from the first round were not accounted for, said Sindy Celeste Rodas Carbonell. Next, they corralled a fleet of pickup trucks, cars, small buses — anything with wheels — to ferry several hundred Chinique residents into Santa Cruz, the regional capital 18 miles away, to deliver the petition. The days that followed were tense with waiting — and when the news finally came that yes, the tribunal had approved a second election, the relief among Chinique’s activists was almost overwhelming. The new election was set for a Sunday — Nov. 6, 2011 — just a few weeks after the tribunal announced its approval. Few people wanted to help at the polls, she added. But none of that stopped the activists from holding a series of meetings and developing a plan to check IDs and ensure that outsiders could not come in and vote in Chinique’s mayoral race. On election day, police security around the park next to the municipal offices — where the ballots had been burned earlier — was very tight, and residents were not inclined to hang around waiting for the results, said Sindy Celeste Rodas Carbonell. It was the first time in her memory that voters had not congregated there. In their homes, people waited anxiously for the outcome and later that night that the winner was announced on cable news: Ebert Alexander Muñoz Juárez would be Chinique’s new mayor. “Not all the people voted for him … [but] everyone knew we had all won,” said Sindy Celeste Rodas Carbonell. On a late afternoon in February, Chamorro stood alone outside his house in a quiet neighborhood of Chinique. Golden sunlight washed the street as he agreed to sit down on the curb for a talk. A former nurse with the Ministry of Public Health for 22 years, Chamorro is now 51 and retired, he said. He has lived in Chinique his entire life, but for all of the community’s peacefulness, the uprising on that election night almost four years ago seemed to rile him still. “Unfortunately, in Guatemala there is a lot of injustice,” said Chamorro, without a hint of irony about his own history. Charged with taking money intended for public purposes, he was sentenced to four years of prison (or the payment of 25 quetzales a day) and a fine of 5,000 quetzales. He said he spent six months in jail. What about the charges that outsiders had been bussed in to boost his chances? Looking back over that period Chamorro said what he regretted was only that people tried to burn his house down. And what about the future? Would he run for mayor again? But when that time comes, Chamorro may well find Chinique to be a different kind of place than it was when he took office back in 2008 — a place where its citizens have now realized their voices can be heard and know how to hold their leaders to account. Wendy Ixell Rodas Carbonell said the outcome of all of this for her community is a new way of seeing things. There were times, admitted Tereso de Jesús Granados, that his pursuit of the truth unnerved his wife, but he was confident about the rightness of what he was doing. And for the man elected to succeed Chamorro — Ebert Alexander Muñoz Juárez — the new standard for public service has been set high and firmly. “Future mayors … will think about what they are doing and put the money to good use,” said Damian Arevalo. Today, water is still near the top of the list of Chinique’s needs — a supply that’s clean and clear, much like citizens expect their local government to be, too. 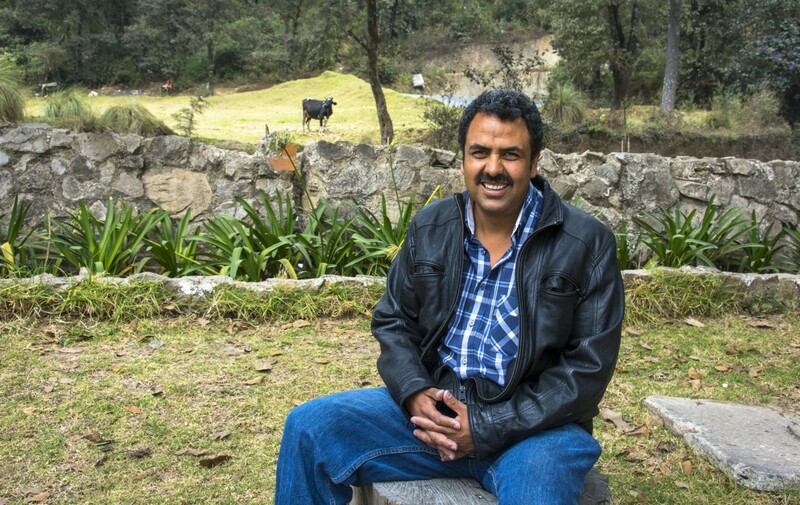 Current Mayor Juárez, who is 40, a former teacher, and worked for several years for the national secretariat for nutrition and food security, is tackling both those challenges: water and government transparency. Water — the problem that triggered the whole upheaval in Chinique — was a good place to start. Juárez’s administration has repaired the pipe network around some springs and brought seven more in the area, bringing the town total to 28, with plans to add 14 more. “With these springs, we are going to solve the water problem,” said Juárez. In the meantime, Chinique is steadily climbing in the public’s esteem. 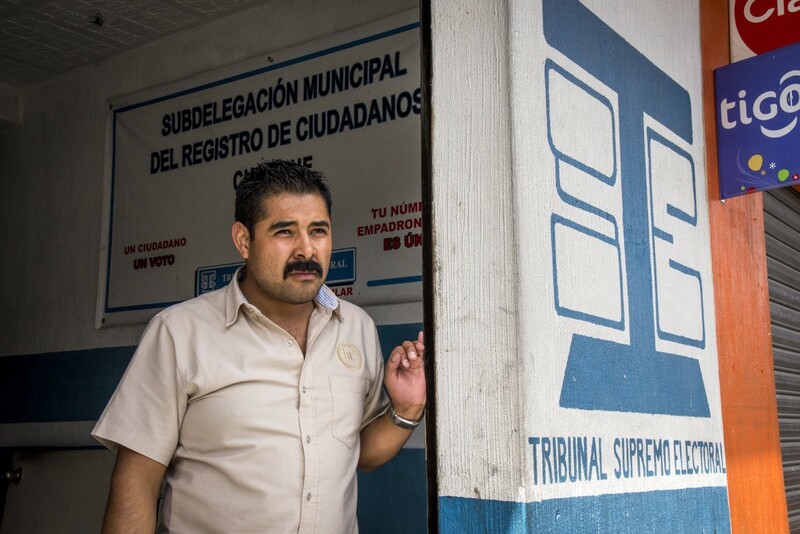 In 2013, based on judging by the Ministry of Finance, it won a national prize for being among the 10 most transparent municipalities, said Juárez. For Ayerdi, the ALAC team member and one of Chinique’s biggest champions, the happy ending to this long tale is due, in large part, to the citizens who were determined to do what was right for their town. “It was a successful experience because they are very well organized and they had the intention to have something happen,” she said. In that determination is a lesson for every community that wants to fight corruption. What’s the most important thing in that fight? This story was originally published by Oxfam America. Reproduced with permission. To view the original article click here.